As London looks ahead to a skills devolution deal, the capital has ambitions to create an adult skills system that is more responsive to the needs of the local economy. This work reflects on the area based review which will shape the future of the Further Education sector in London. 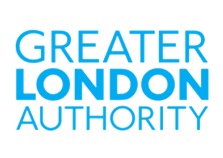 Analysis by GLA Economics sets out what drives London’s economy, and what this means for future skills needs. In this series of papers we analyse the demand for jobs and skills to inform the Government’s area reviews of post-16 education and training, covering four London sub-regions (working papers 76-79). Thanks to London’s excellent transport links, the job opportunities available to learners are wider than a particular sub-region. The 2011 Census shows that less than half of all workers in London (48%) live in the same sub-regional area as their place of work. This calls for a broader, pan-London view (working paper 75).